The kitchen is not only a place where you prepare your food, but it is a part of your warm home, and daily you create memories with your loved ones there. So, try to make their memories the best you can, and put effort into the decorating on the walls on your kitchen. 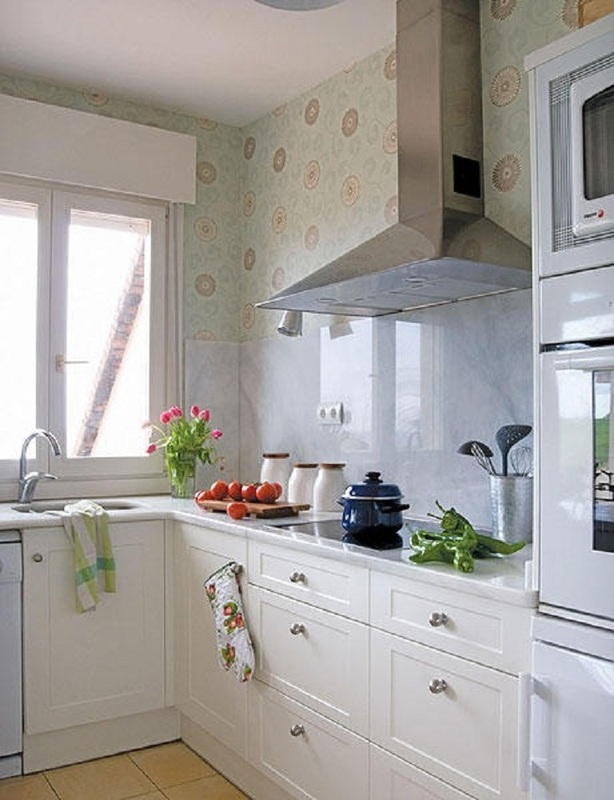 The kitchen should be bright and radiate with positive energy, because that is the place where the whole family collects their force in the body. If you are seeking for some inspirational ideas, we can help you with that! Look at this 10 interesting photos, that are unique and different in their own way, and they can help everyone to find what they are looking for by their own taste. 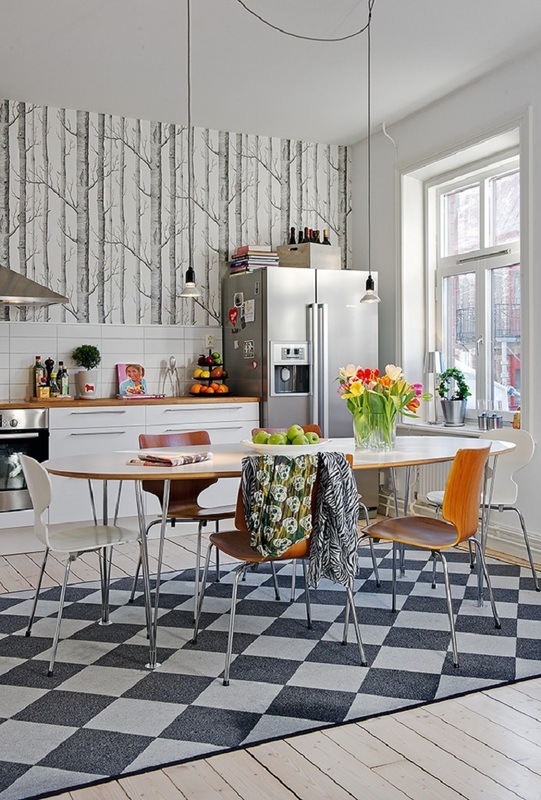 No matter what you want, a glamorous kitchen wallpaper, or something playful and bright, look at this amazing ideas below and get inspired! The green color is the color of nature, and also is the color of fresh starts and growth. It also increases wealth and health, so you won’t go wrong if you choose wallpaper with little green dots to break the monotony. 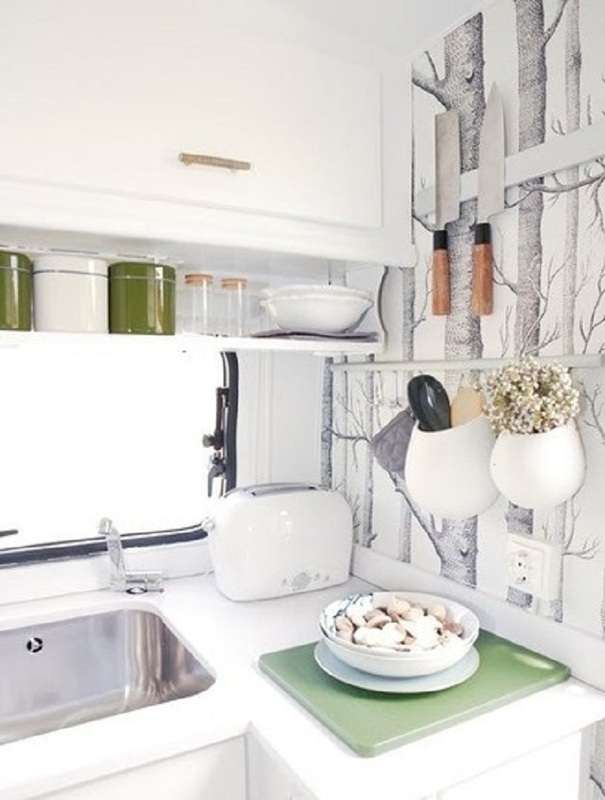 Another way to bring the sense of nature into your kitchen. Make your wall look like the deepest forest in late autumn. 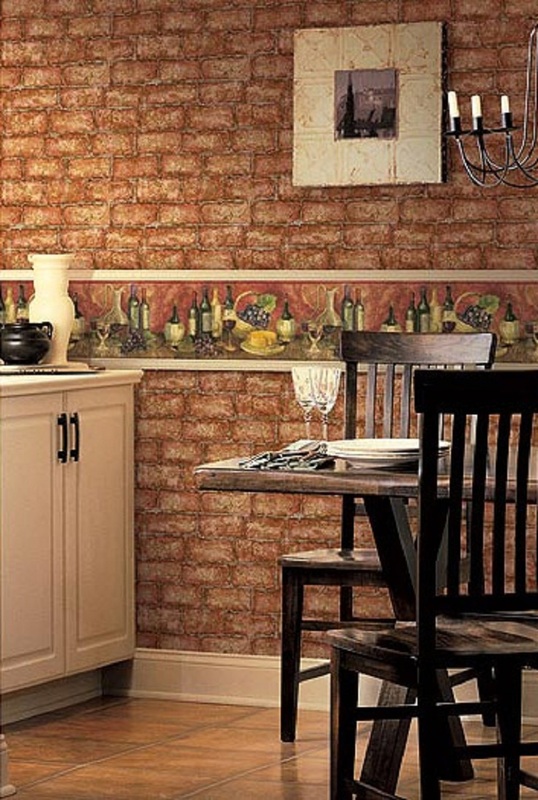 If you like the vintage look, you would not resist this realistic-looking wall paper for your kitchen. The red bricks look amazing and make your home looks luxuriously. 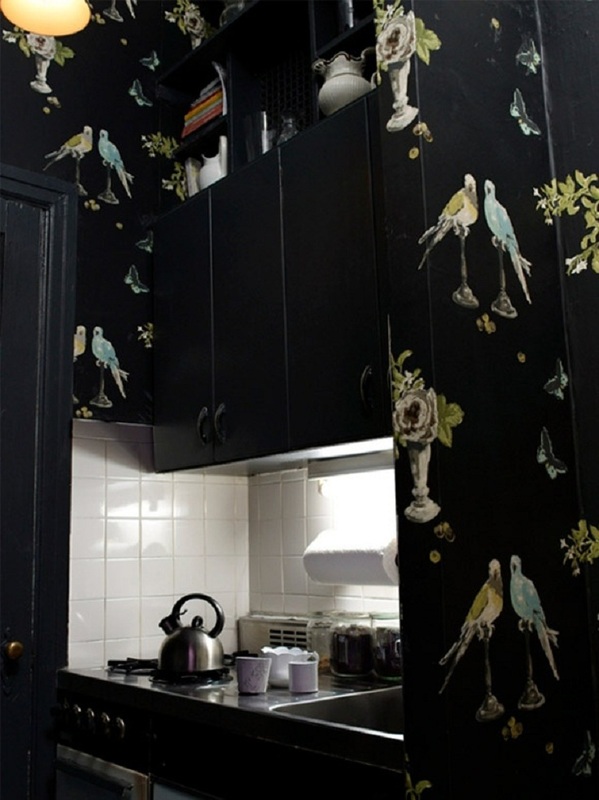 Although we talked about how important is for the kitchen to be in bright colors, this example of of black wallpaper with birds as a decoration can make your kitchen look glamorous. Black is the “forever” color — forever night, forever faithful, forever formal, and it can bring you felling of calm. 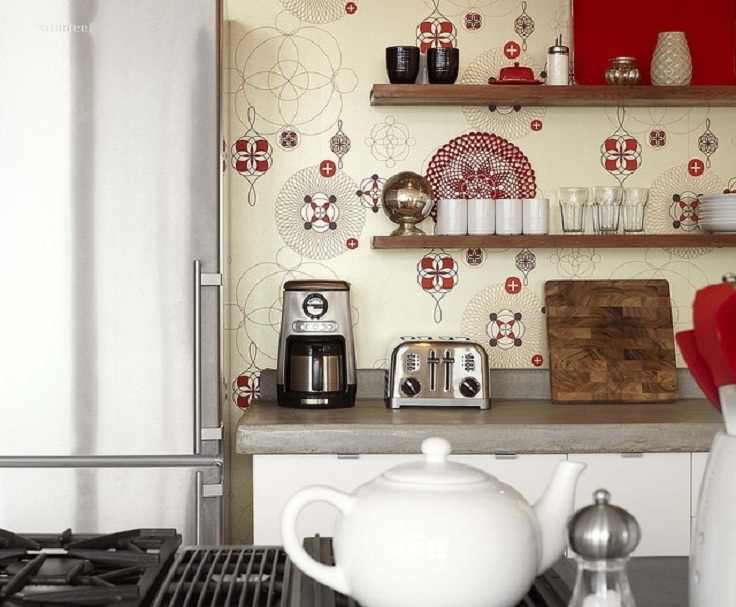 Make your kitchen look adorable and tasty, just while looking at the wallpaper! The strawberries with the pouring milk between them will leave everyone breathless. 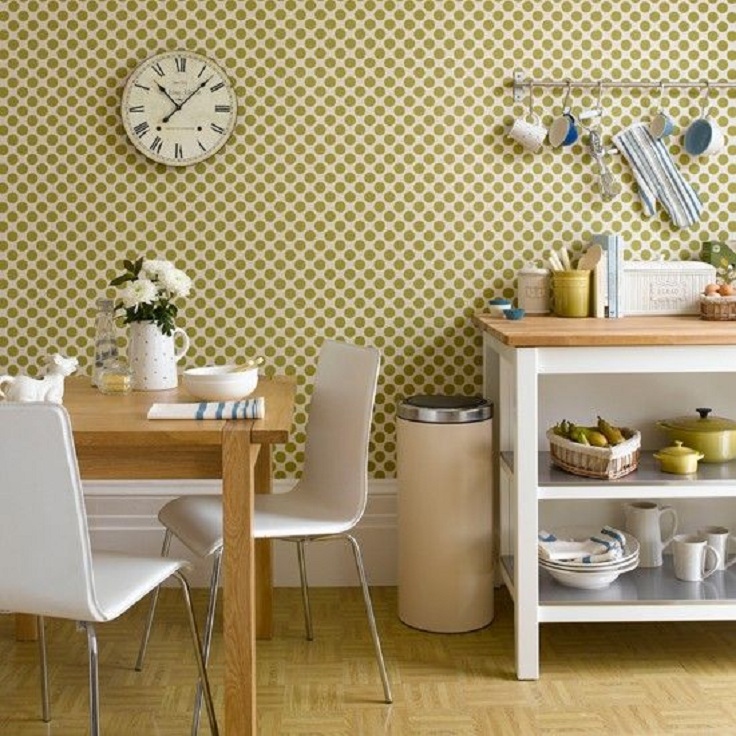 We mentioned above the benefits of the green color, and in this picture we have one different idea from the first one, that is more simple and subtle, and will bring so much light in your kitchen. The thing that is special on this picture is the fact that the tree trunks wallpaper is cut and split on three pieces, that makes it look like a puzzle, and between that pieces you can make knife holders and attach other kitchen items. The red color is a stimulant, and it promotes courage and fearlessness. You can use this color when you want to increase your self-confidence, and it is enough to put it in some details. The blue color will give you a sense of peace, ease into the home and harmony into relationships. 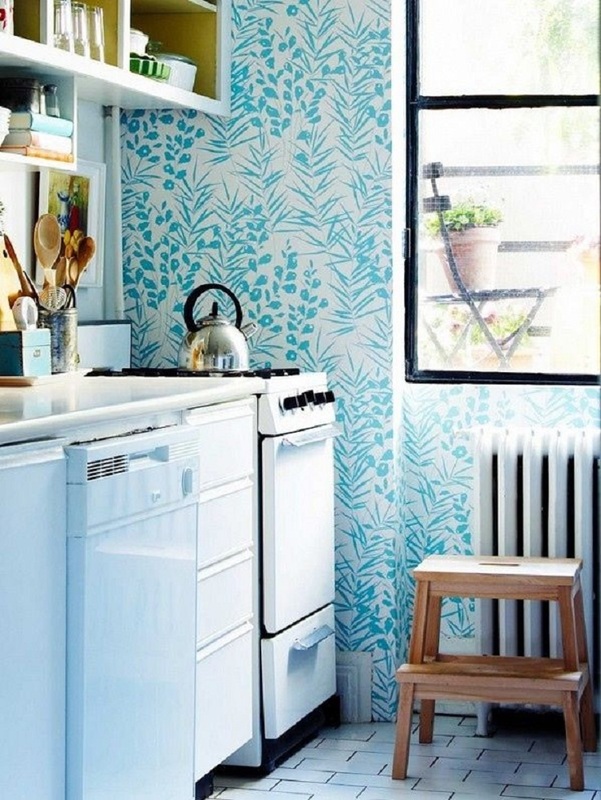 Light blue color is a great choice for your kitchen. 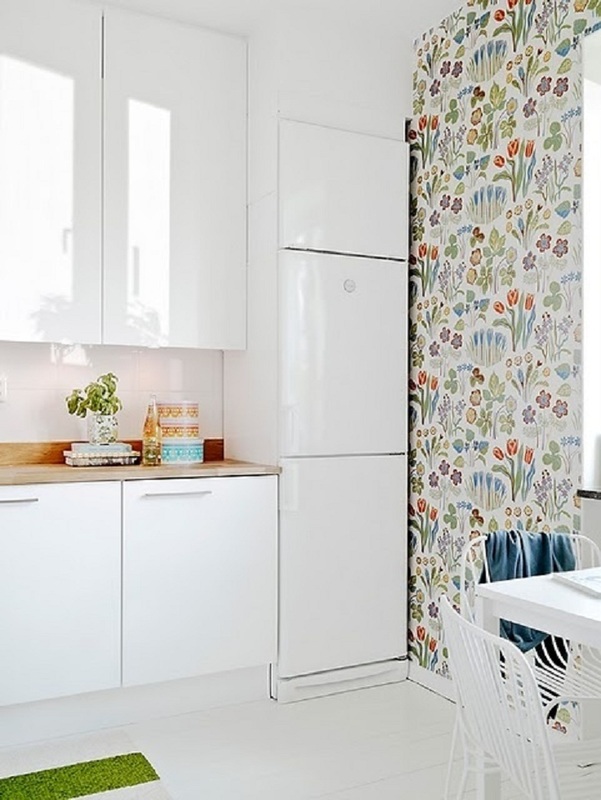 It is always a good idea to bring some floral prints into your home. 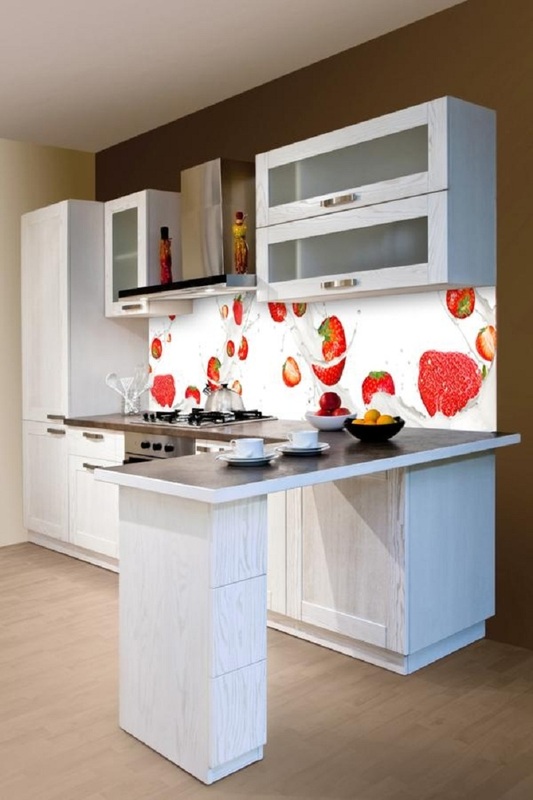 Colorful and bright, what every kitchen needs to glow in its full potential.